Swim England-affiliated programmes in Bath and Yorkshire are offering synchronised swimming camps this summer. 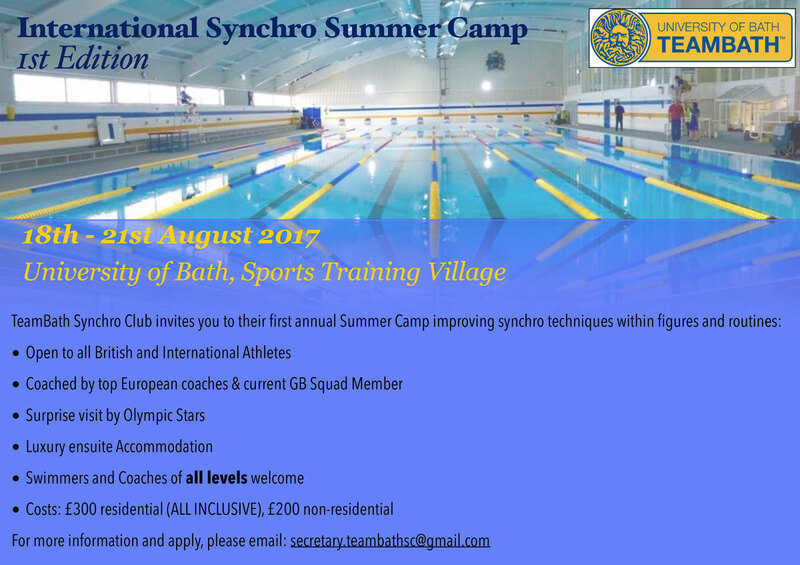 Team Bath Synchro Club are based at the University of Bath and are offering residential or non-residential spaces at their summer camp from 18 – 21 August. 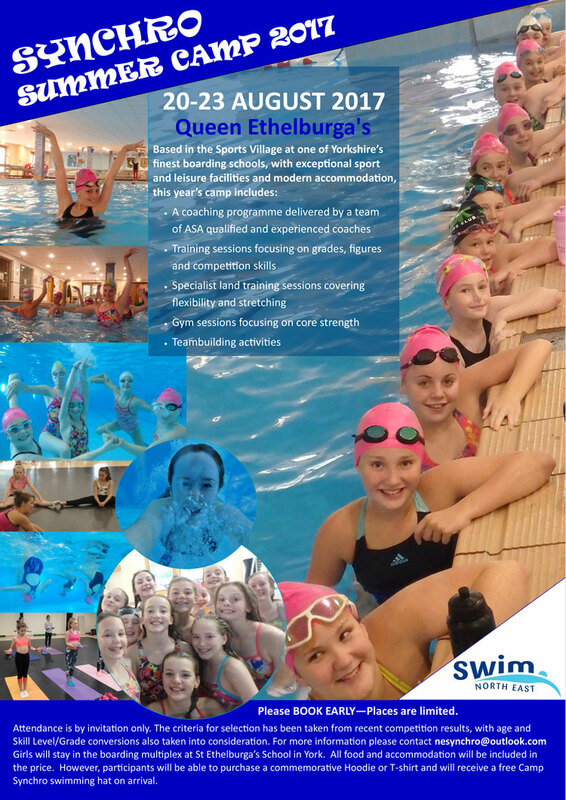 The Swim England North East region’s camp will be based the sports village at Queen Ethelburga’s Boarding School in York from 20 – 23 August. Find out more about each camp below. Open to: Swimmers and coaches of all levels. The focus of the four-day camp will be improving synchro techniques within figures and routines. The camp will be coached by top European coaches and a current GB squad member, while there will be a surprise visit from some Olympic synchro swimmers. Residential spaces include luxury en suite accommodation and are inclusive of all meals. The camp will include training sessions focusing on grades, figures and competition skills. There will also be specialist land training sessions, gym sessions focusing on core strength, and team-building activities. Swimmers will board at St Ethelburga’s School and all food and accommodation will be included in the price.